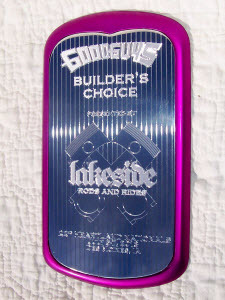 Since 1984, J&B has been carving out a niche in the billet aluminum hot rod accessory market. With a full service machine shop at hand, craftsmanship is our #1 priority. We constantly strive to design and manufacture quality billet accessories and components. Our products emulate innovation in that our products are designed in shape and function, unlike any other products on the market today. All of our accessories and components are made in the United States using American made materials, with environmentally friendly manufacturing processess. Through the years our product line, as well as our custom one-off pieces, have been displayed on high quality vehicles featured in hundreds of nationally recognized magazines. We are equally as proud to manufacture both stock and one-off accessories for cars that are driven to every event they attend. 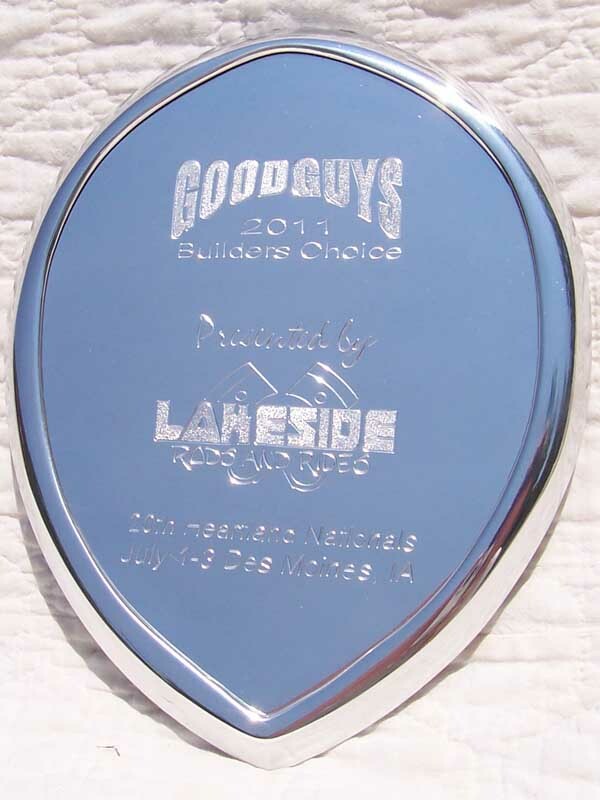 In 2008, 2009, 2010, 2011 and 2013 we were asked to participate in the Goodguys Awards program. 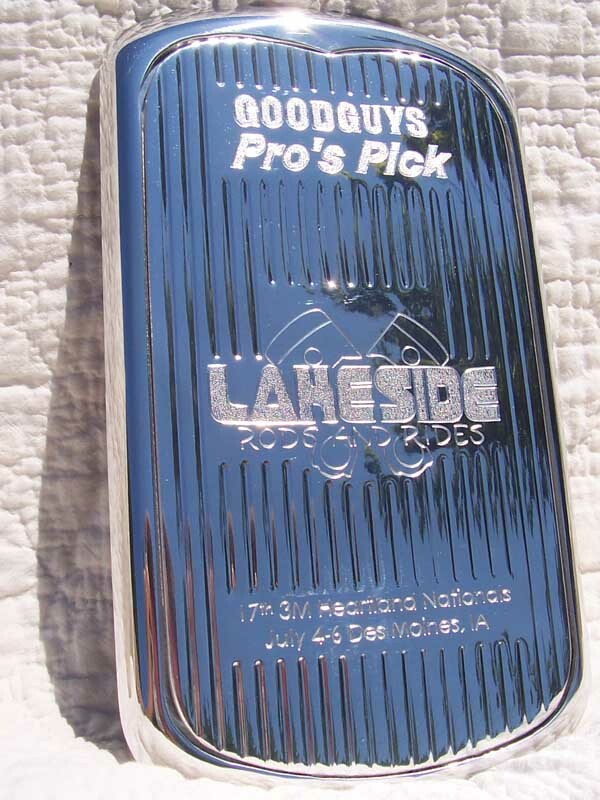 Shown here are the billet trophies we manufactured for the Heartland Nationals, (Des Moines, IA) Lakeside Rods & Rides Builders Choice awards and the Chicagoland Nationals (Joliet, IL) Midwest Deuces Picks. Committed to excellence in quality of design and manufacturing, J & B will be introducing new products as they are developed. Watch for these new products to be highlighted in our New Products section. We are a dealer for Classic Instruments and TPI Gauges. These gauge companies are world renown in the manufacture of their products. We can manufacture your dash insert to fit their complete lines of instruments. 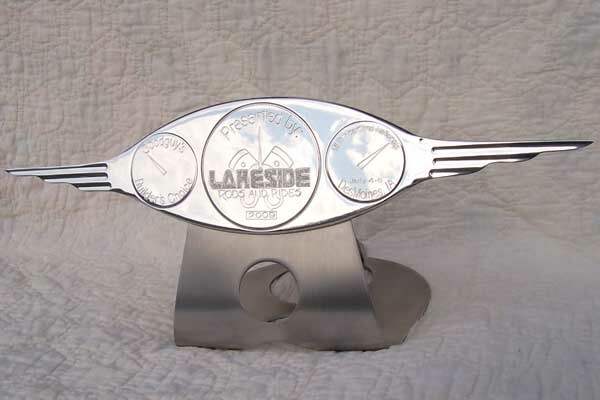 Our dash inserts are also available custom bored using all other gauge brands.